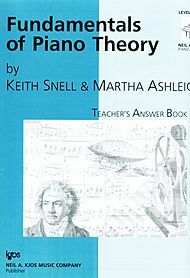 Fundamentals Of Piano Theory, Level 7 - Answer Book composed by Keith Snell, Martha Ashleigh. For piano. Method book. Neil A. Kjos Piano Library. Level 7. Answer book. Published by Neil A. Kjos Music Company (KJ.GP667T).Each of these theory reference editions provides answers for every page in the Fundamentals of Piano Theory student books. The complete student page appears with hand-written answers to help parents, teachers, or students easily correct theory pages.About Neil A. Kjos Piano LibraryThe Neil A. Kjos Piano Library is a comprehensive series of piano music in a wide variety of musical styles. The Library is divided into eleven levels and will provide students with a complete performance experience in both solo and ensemble music. Teachers will find the carefully graded levels appropriate when choosing repertoire for evaluations, auditions, festivals, and examinations. 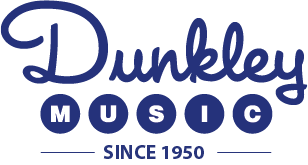 The Library includes: Fundamentals of Piano Theory; Piano Repertoire, Baroque and Classical; Piano Repertoire, Romantic and 20th Century; Piano Repertoire, Etudes; Scale Skills; Music of the 21st Century; New Age Piano; Jazz Piano; One Piano Four Hands; Music for Christmas.